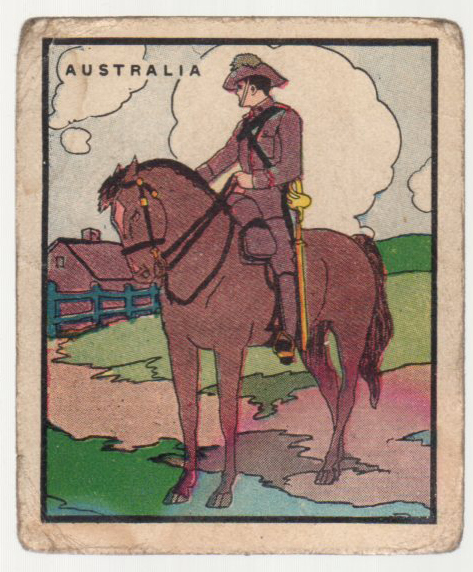 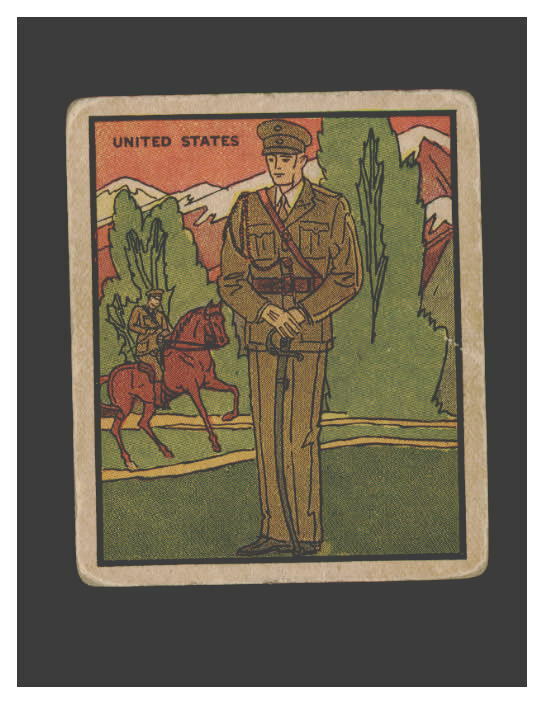 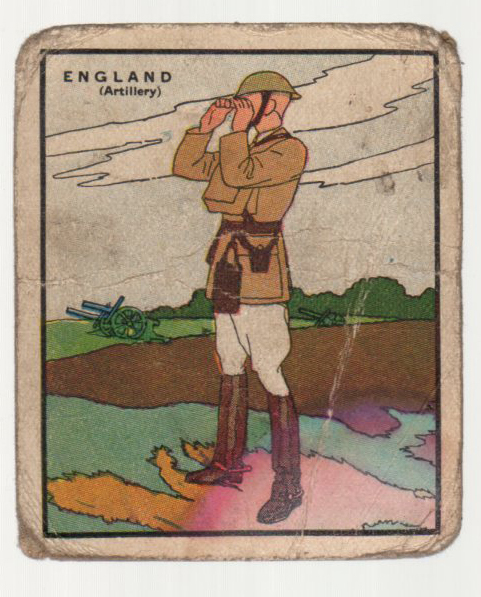 The 1932 E. Rosen Company of Providence, Rhode Island issued this set of 36 Soldier cards. 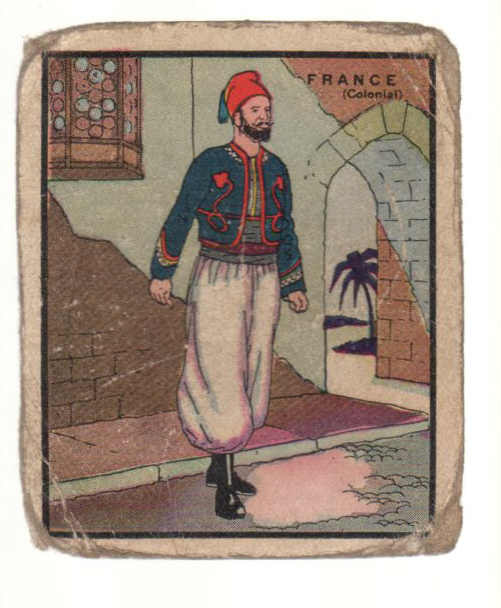 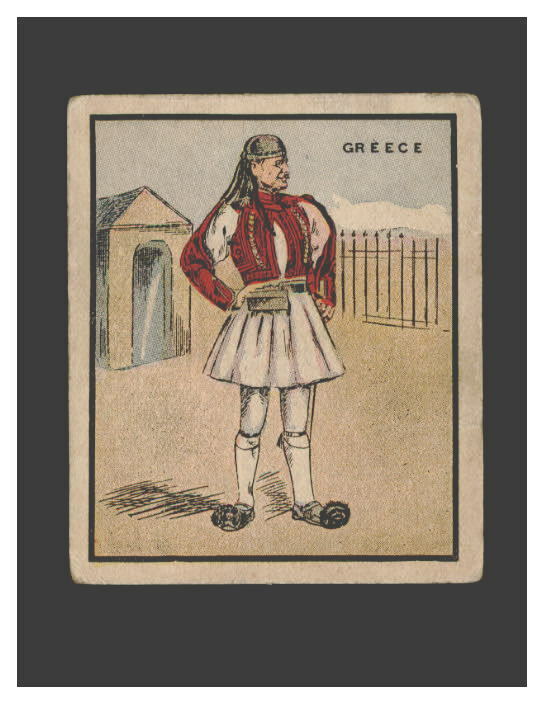 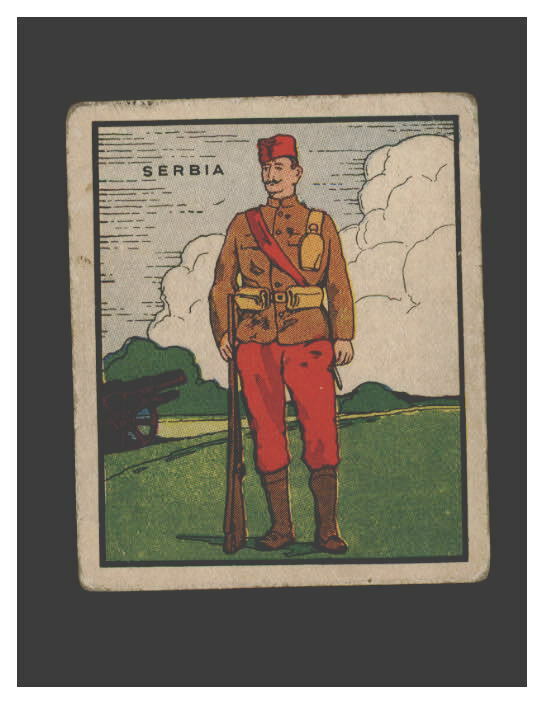 The cards feature soldiers from different contries in uniforms. 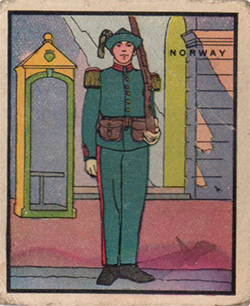 The fronts have color line drawings and the backs have the card number and descriptions. 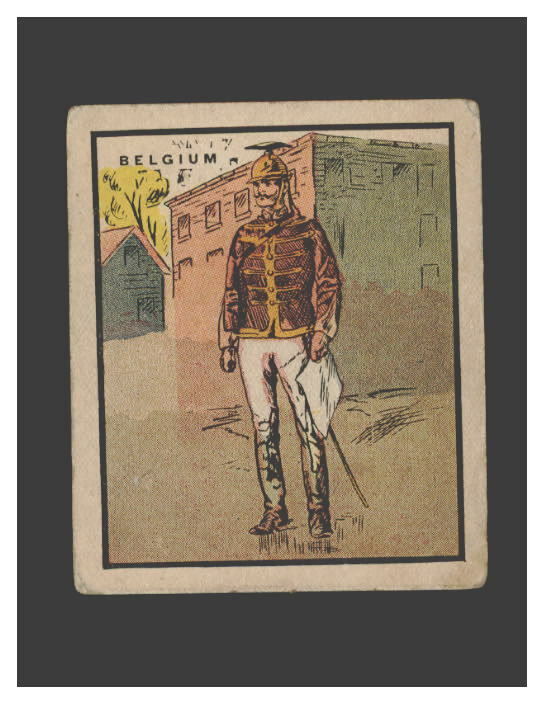 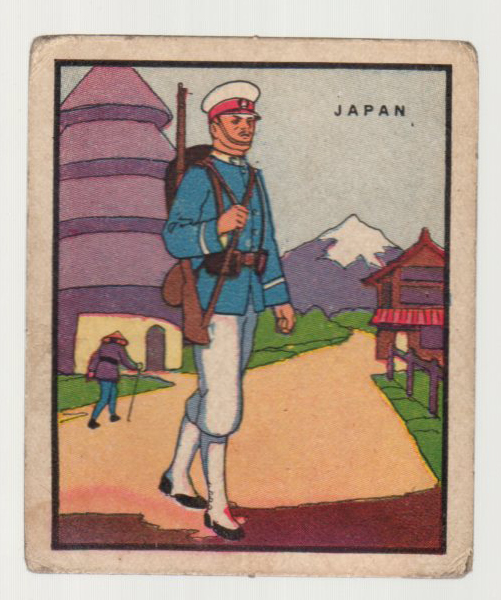 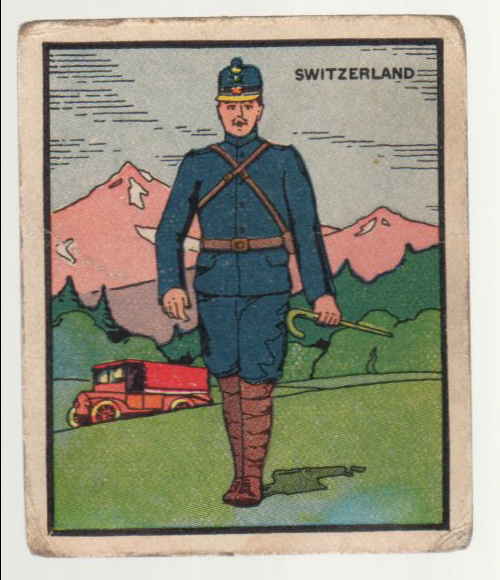 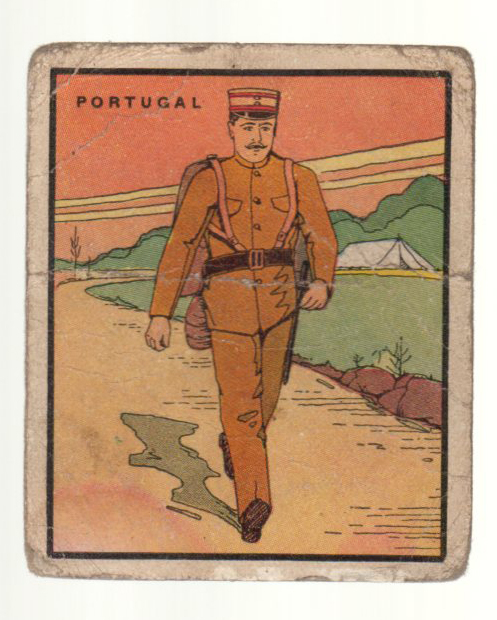 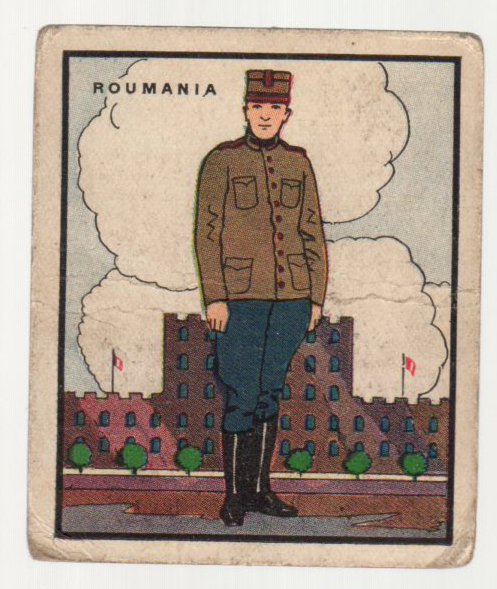 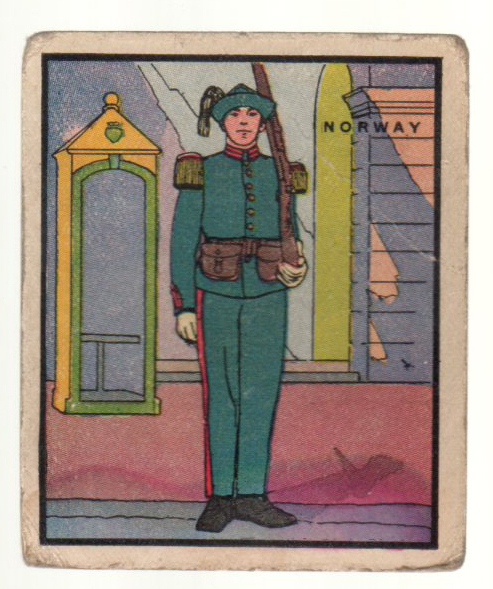 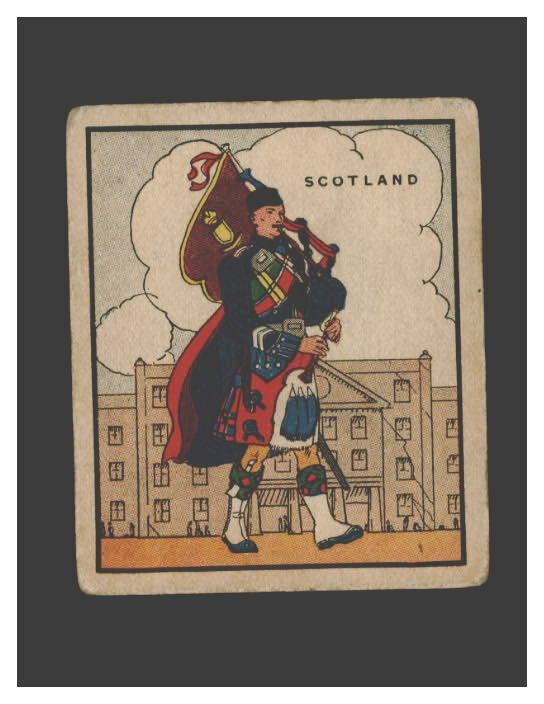 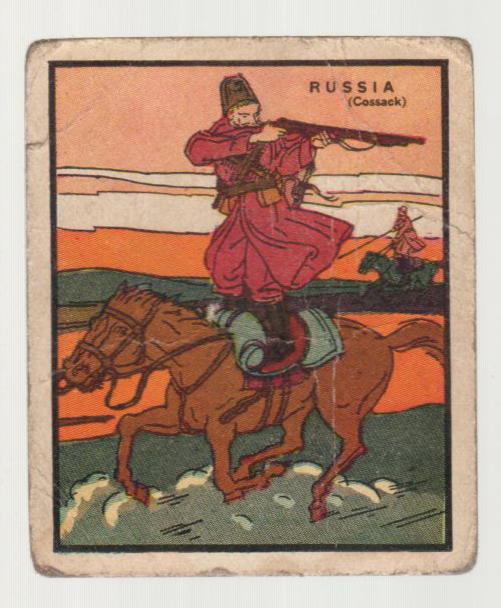 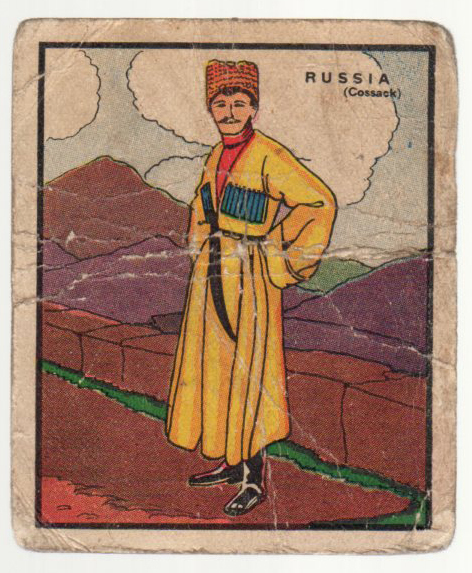 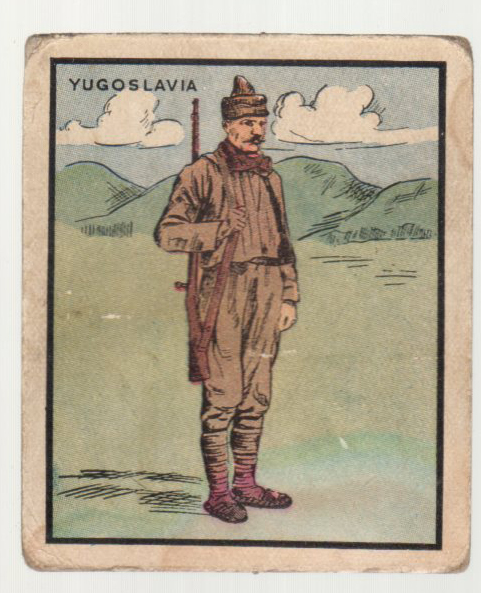 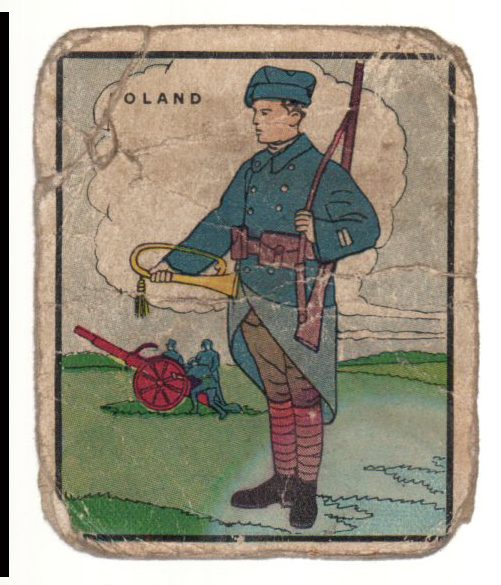 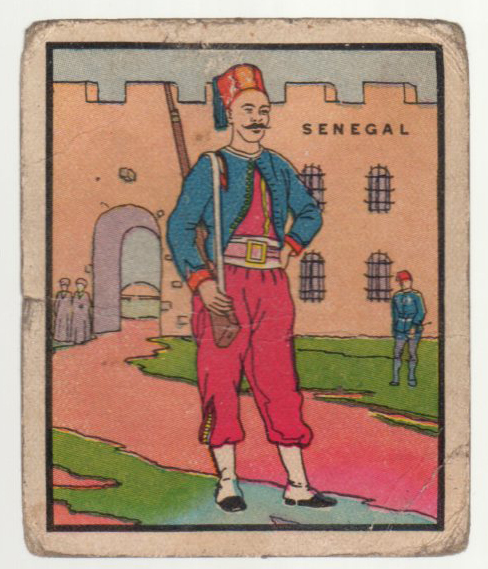 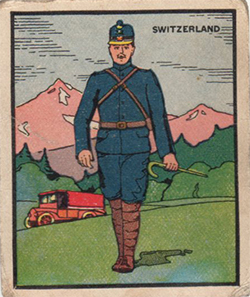 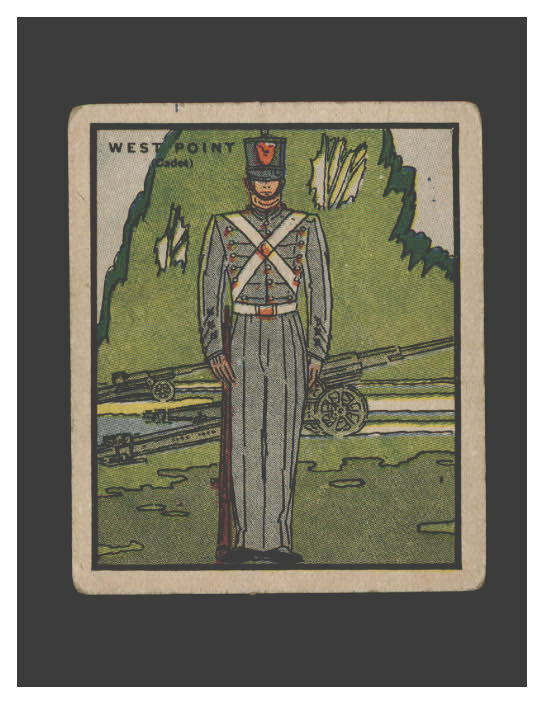 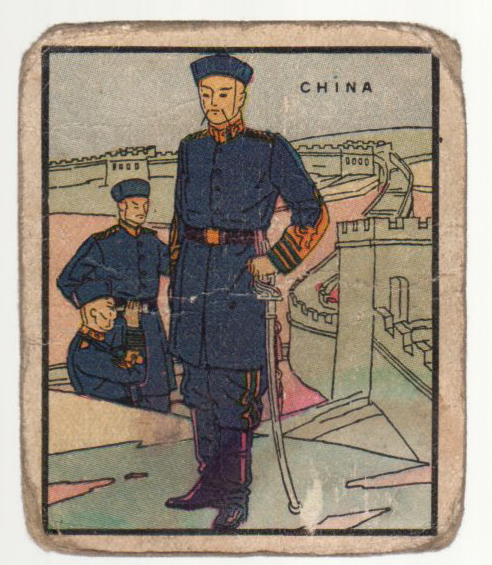 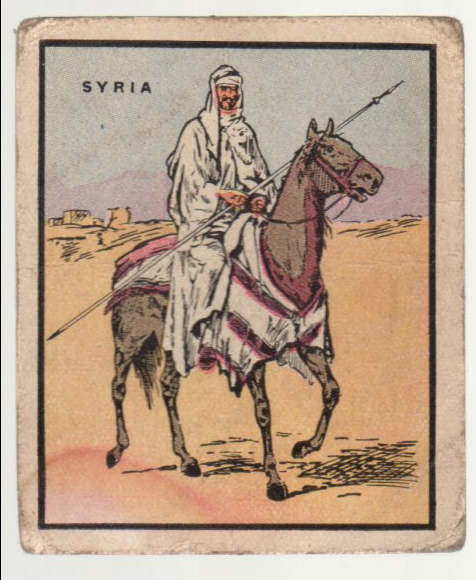 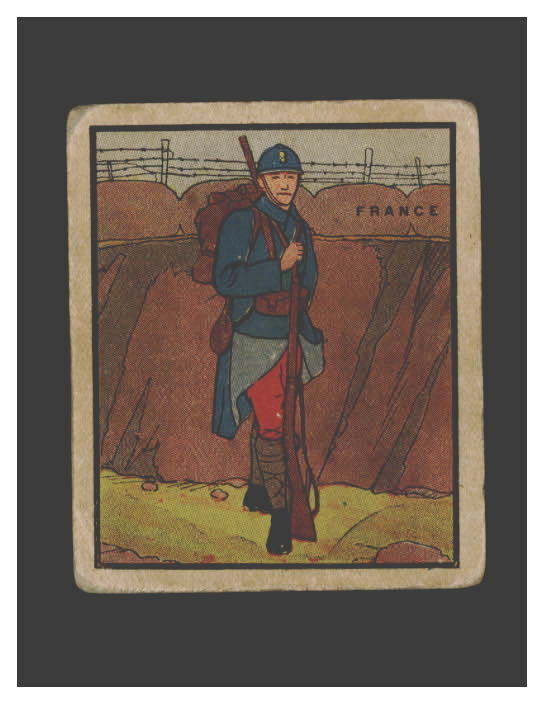 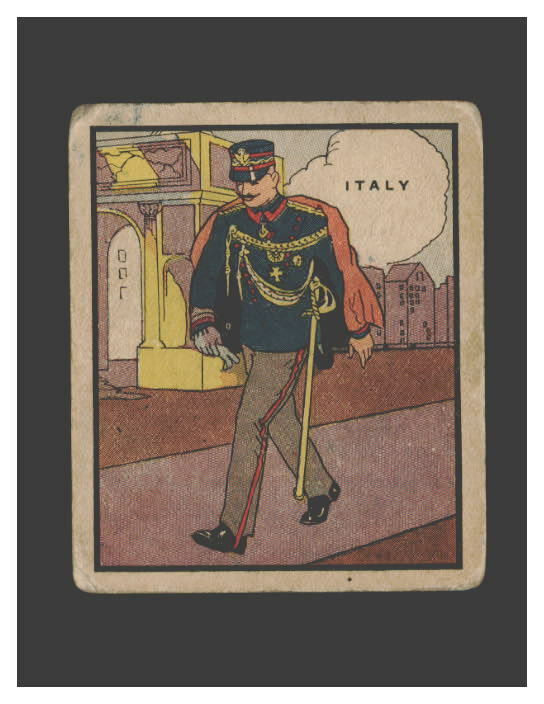 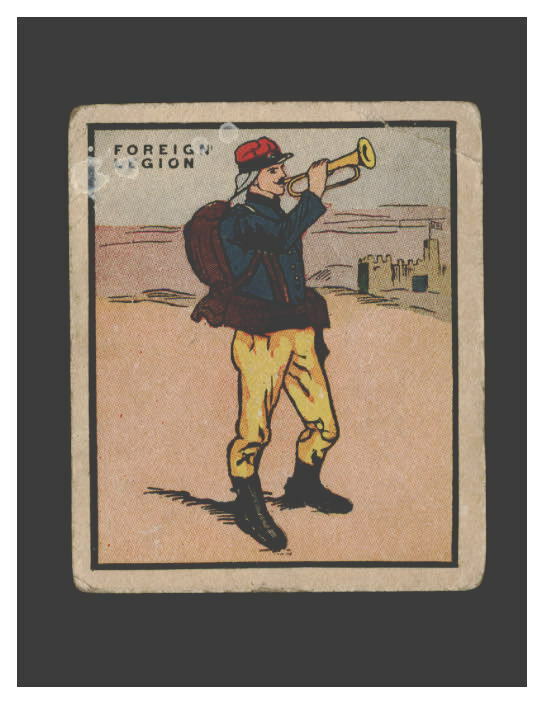 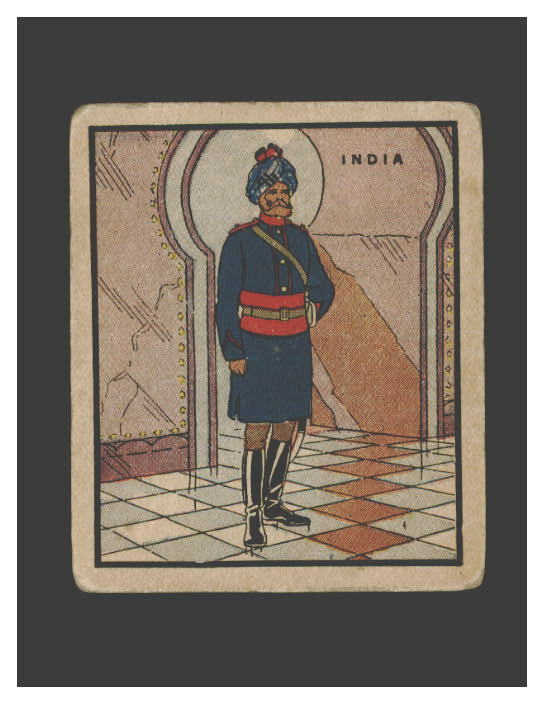 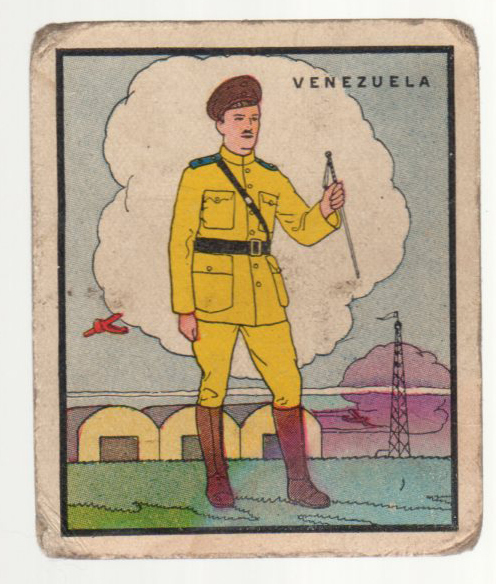 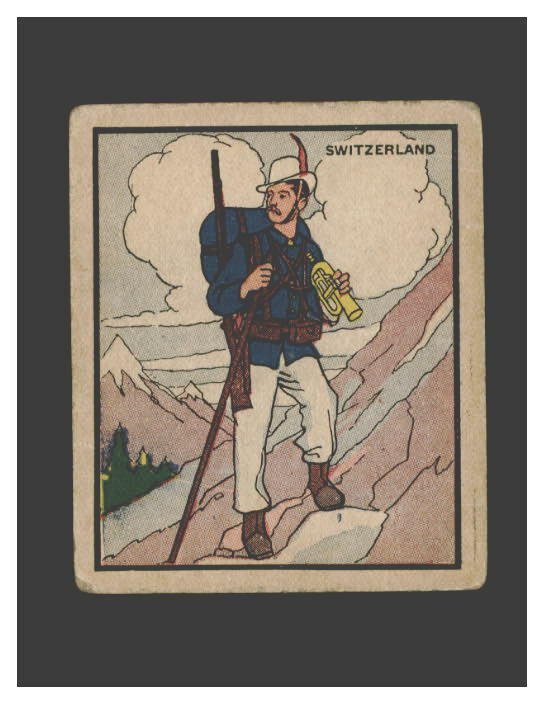 There are only 36 cards in the set despite the line on the backs that says this is one of a series of 192 soldier cards. 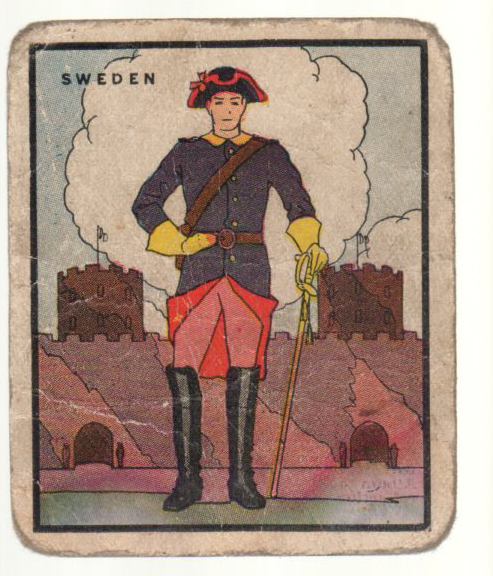 The cards measure 2-1/2" by 3" in size.